Our work with SuperValu has involved varying aspects of communication over the years, a heavy focus of which has been on advertising. 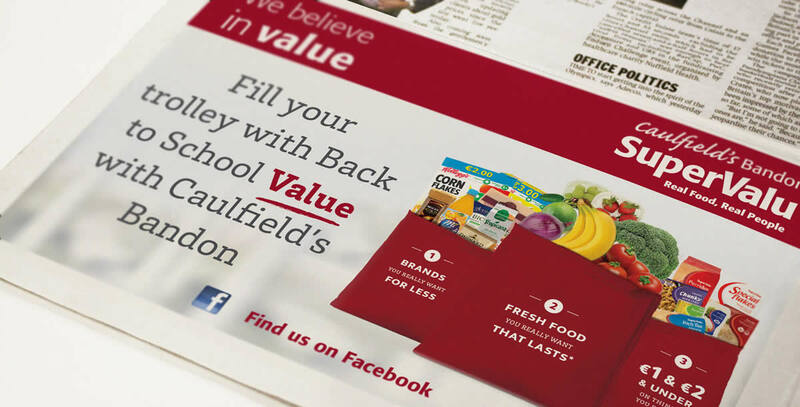 With SuperValu being a brand synonymous with quality, local support, award-winning produce and a strong focus on consumer needs, advertising plays a significant role in their communications as a whole. 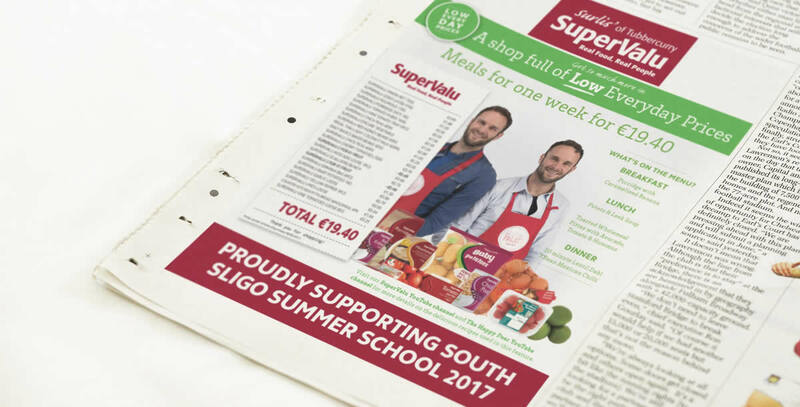 From outdoor to display advertising and the creation and implementation of full advertising campaigns, our relationship with SuperValu has involved telling their story through a wide range of media and with a varied focus. In our current principal role, we provide creative and implementation support for the local marketing team. This involves producing communication material for over 200 SuperValu stores across Ireland, combining the national brand messages and initiatives with real local retail issues.